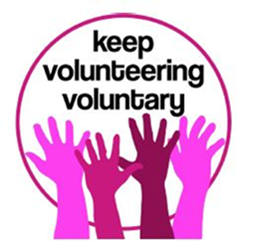 Over 350 voluntary organisations have now signed up to the Keep Volunteering Voluntary Campaign. Volunteering means people independently choosing to give their time freely to help others and make the world a better place. Workfare schemes force unemployed people to carry out unpaid work or face benefit sanctions that can cause hardship and destitution. We believe in keeping volunteering voluntary and will not participate in government workfare schemes.